It’s the year of the newcomer. 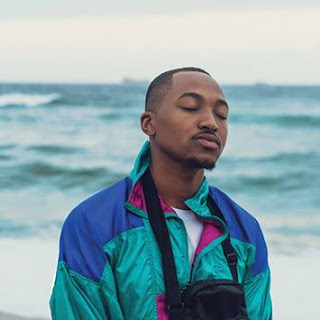 The list of SAMA23 nominees is dominated by new artists who released their debut or second projects in the past year. They are making great strides in the music industry, proving that youthful exuberance sometimes trumps experience. Rap wunderkind Nasty C leads the SAMA23 pack with an impressive six nominations. His Bad Hair Extensions album earned him nods for Best Newcomer of the Year, Best Male Artist of the Year, Best Album of the Year and Best Rap Album. To top his SAMA23 honours, his videos Don’t Do It and Good Girls are in the running for Best Music Video of the Year. Hot on the heels of 20-year-old Nasty C is rapper Kwesta with five nods, while new singing sensation Amanda Black bagged four. Durban’s queen of gqom Babes Wodumo finds herself in the exlusive league of multiple nominations sitting pretty with three nods. Keeping her company are the likes of Idols SA 2013 winner Musa, DJ Ms Pru; young Afro-soul duo Soul Kulture; veteran vocalist Thandiswa Mazwai; dance pair Black Motion; gospel giant Dr Tumi; and the soulful trio The Soil. For the much sought after Best Newcomer of the Year category Nasty C (Bad Hair Extensions) will slug it out with Afro-Soul duo Soul Kulture (Ngeliny’ilanga); Durban’s gqom pioneer Babes Wodumo (Gqom Queen Vol.1); house and pop musician Sketchy Bongo and Idols SA alumni Amanda Black (Amazulu). The Best Duo/Group of the Year is a battle between The Soil (The Soil); Jaziel Brothers (Jaziel Brothers); Soul Kulture (Ngeliny’ilanga); The Parlotones (Trinkets Relics and Heirlooms); and Black Motion (Ya Badimo). In the Best Female Artist of the Year, vocal heavyweight Kelly Khumalo (My Truth) takes on Thandiswa (Belede); Lebo Sekgobela (Restored); Babes Wodumo (Gqom Vol.1); and Amanda Black (Amazulu). The Best Male Artist is an epic duel between Dr Tumi (Heart of A King); Kwesta (Dakar II); Musa (Mr Serious); NastyC (Bad Hair Extensions); and Nathi (Umbulelo Wam). The coveted Best Album of the Year is a mesh-up of genres that will see established names square off against newcomers as Kwesta (Dakar II) competes with Black Motion (Ya Badimo); Amanda Black (Amazulu); Nasty C (Bad Hair Extensions); and Thandiswa (Belede). In the genre specific categories, it will be battle royale in the Best Rap Album as Nasty C (Bad Hair Extensions) goes up against A Reece (Paradise); Khuli Chana (One Source); Kwesta (Dakar); and Stogie T (Stogie T). In the Best Contemporary Faith Music Album Dr Tumi is nominated twice for his releases Heart of A King and Love and Grace. He faces stiff competition from Khaya Mthethwa (The Dawn); Lebo Sekgobela (Restored); and We Will Worship (Mmuso). To seal her comeback, Thandiswa Mazwai’s album Belede booked her a place in the Best Jazz Album category where she competes with Darren English (Imagine Nation); Dave Reynolds & Pops Mohamed (Live in Grahamstown); Nduduzo Makhathini with Umgidi Trio and One Voice Vocal Ensemble (Inner Dimensions); and Sydney Mavundla (Luhambo). The Best Afro Pop Album is a clash of the titans as Jaziel Brothers (Out of the Box) go head to head with The Soil (Echoes of Kofifi), Robbie Malinga (The Duets), Vusi Nova (Naninina) and Musa (Mr Serious). The Best African Artist gong will be fought over by Jay Prayzah, Oliver Mtukudzi, Patoranking, Vee Mampeezy and Vuyo Katsha. 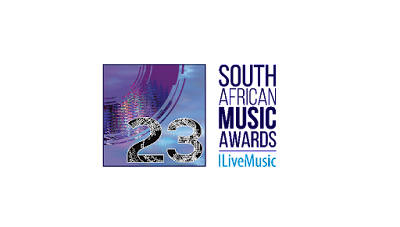 The glittering SAMA23 ceremony will be held in Sun City resort in the North West province on May 27. North West provincial government director of marketing and communication Shuping Sebolecwe commented: ‘The return of the SAMA23 in the province is very significant and could not have come at a better time when we are Re-branding, Renewing and Repositioning Bokone Bophirima. We are equally excited because this is not only going to be an entertainment event but an event that also concretises the five concretes of the fifth administration and contributes to the socio economic conditions of our people ‘They are a cultural expression of the national resolve to create social cohesion amongst the citizenry.